Bryson has all-day kindergarten which can make for a pretty long day for a 5-year-old--but he honestly cannot get enough of it! He loves school and I love the quality time I get with Lilly while he's away. When Bryson gets home from school, Lilly is always down for an afternoon nap, so that leaves me to enjoy some quality alone time with him. It works out perfectly. One of the first things we do everyday after school is make an afternoon snack together. One of my goals as a mother is to raise responsible, self-reliant children and I feel there is no better way to do that than by teaching children how to do things for themselves. So this week Bryson has been mastering the art of making nutritious smoothies! I pull out all the fruit and veggie choices and then he picks the ones he wants to put in the smoothie. 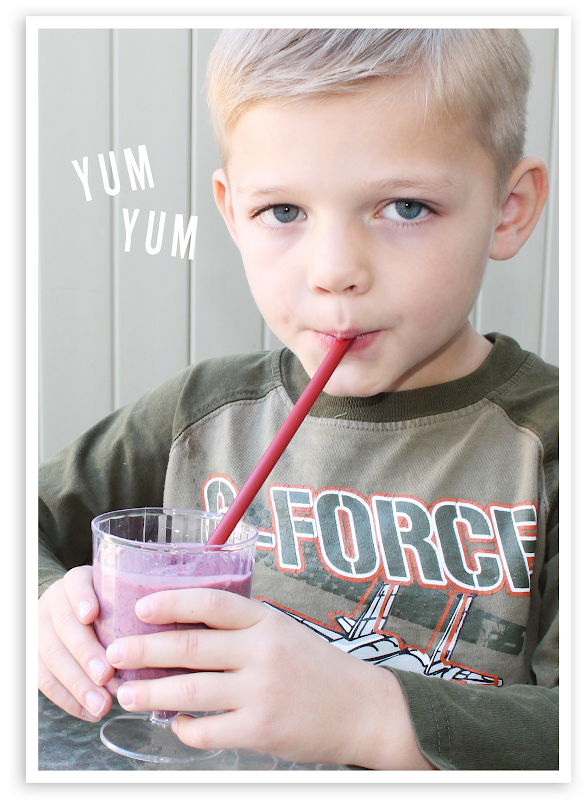 This time he chose a delicious antioxidant-packed berry concoction of raspberries, blueberries, blackberries and strawberries. I threw in a banana, some kale and some spinach. 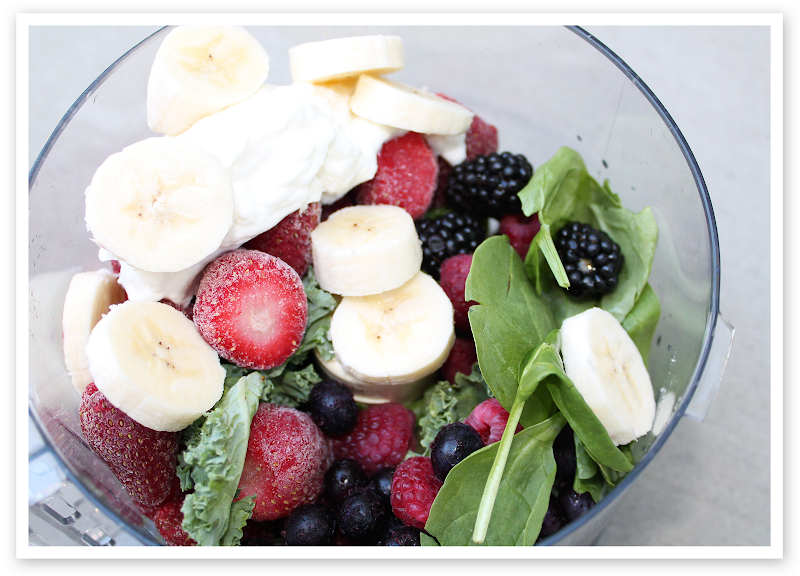 Then we added a little greek yogurt and milk for some extra calcium & protein and to help it mix together more easily. He blends it all up (his favorite part) and then we sit and slurp up our smoothies together while I attempt to get him to tell me about his day. Getting him to talk about his day is literally like pulling teeth but I can usually manage to get one or two small details out of him. The rest forever remains a mystery! Gotta love boys. After we finish our snack we sit at the kitchen table and I help Bryson with his homework and then we snuggle up on the couch and Bryson reads to me and I read to him. This precious time I get to spend alone with him every day is something I cherish so much. It's one of the many golden moments I get to experience each day as a mother and I wouldn't trade it for anything in the world.